Photos by Zeon Santos. 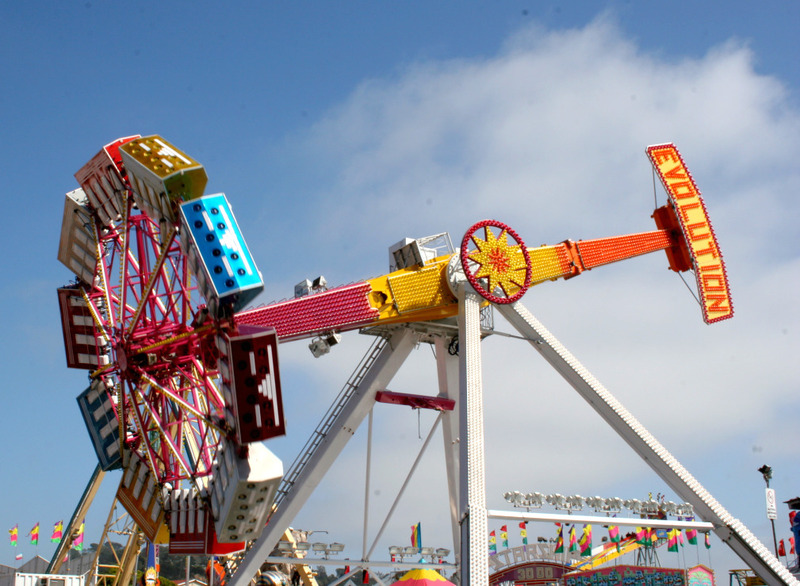 Last week, my boyfriend and I went to the San Diego County Fair, previously known as the Del Mar Fair. 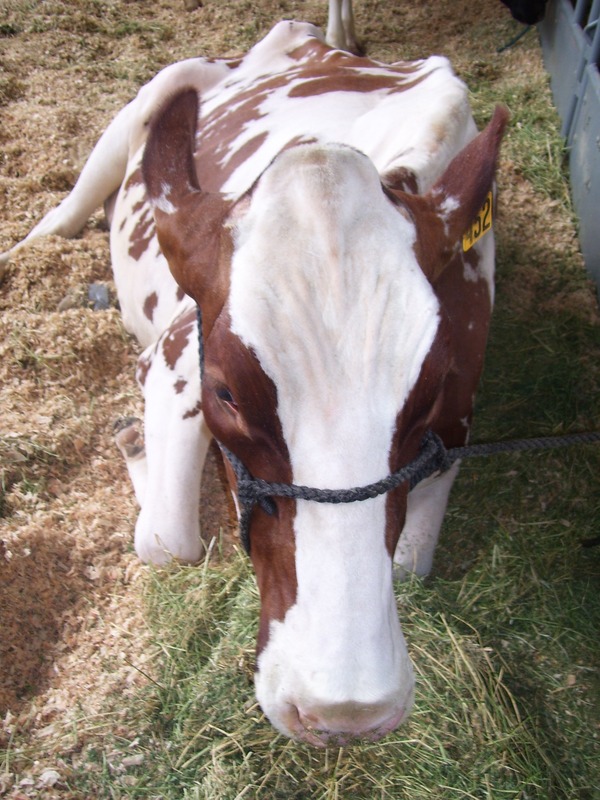 We came with hopes of gorging ourselves on fried food and petting the myriads of livestock that are there to be judged. We left with sore bellies, hands that were surprisingly (and disappointingly) clean of animal germs and a full photo story of our day at the fair. This year's theme, "Taste The Fun," left me eager to visit. 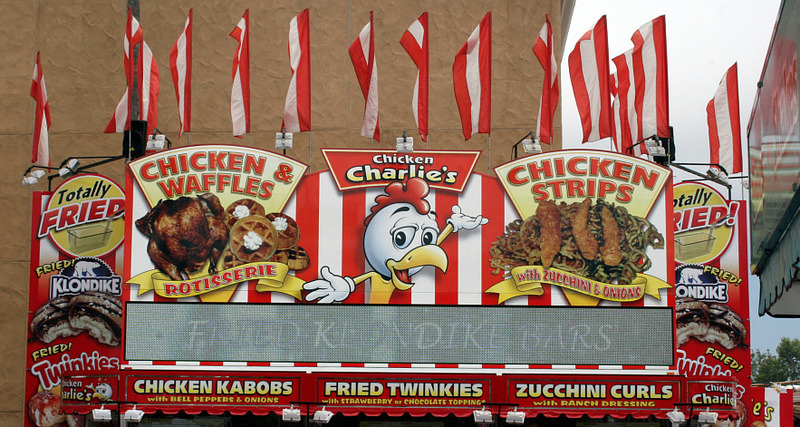 After all, the best part of these events is a chance to try all the fried goods your belly can handle. Even better, because we went on a Tuesday, most vendors were offering a "Taste of the Fair" deal where one select item would only be $2. I was eager to see what $2 deals most of the booths offered, but as we discovered, most of the deals were pretty bogus. You could buy half of a cinnamon roll that would ordinarily cost $4 for $2. Or you could get cotton candy, which was normally $2.50. I have to admit, Mr. Tomato here had me disappointed by the time we walked halfway up the main drag. Some of the places were even worse, offering $2 "tastes" that were literally a single bite of one of their dishes. I guess they thought it was a fair buy when they were already charging $14 for a basket of fried clams. 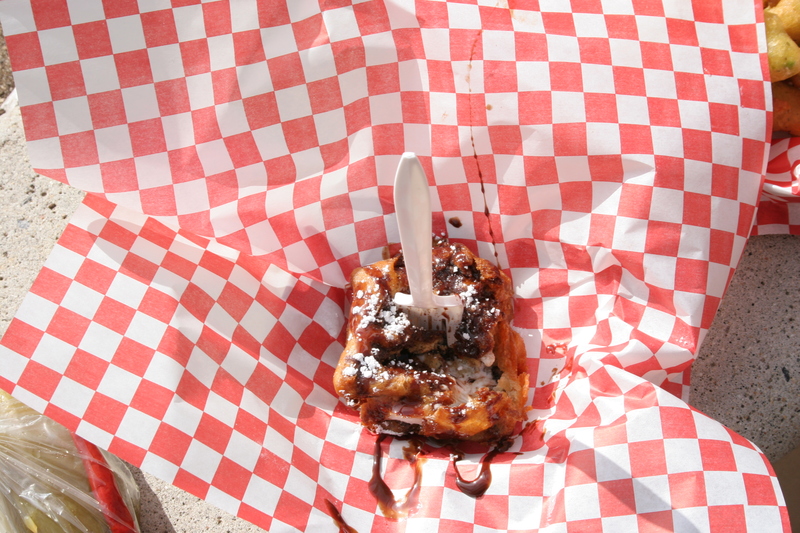 Regardless of the price though, the food is still one of the main attractions and these places were raking in the dough, particularly those places that offer more non-traditional fare, such as fried Snickers, Twinkies, etc. This place had a massive line all day. I think the light-up sign helped. Surprisingly, the Heart Attack Cafe wasn't that busy, but I suppose that was more due to its bad location than its lack of trendy foods. 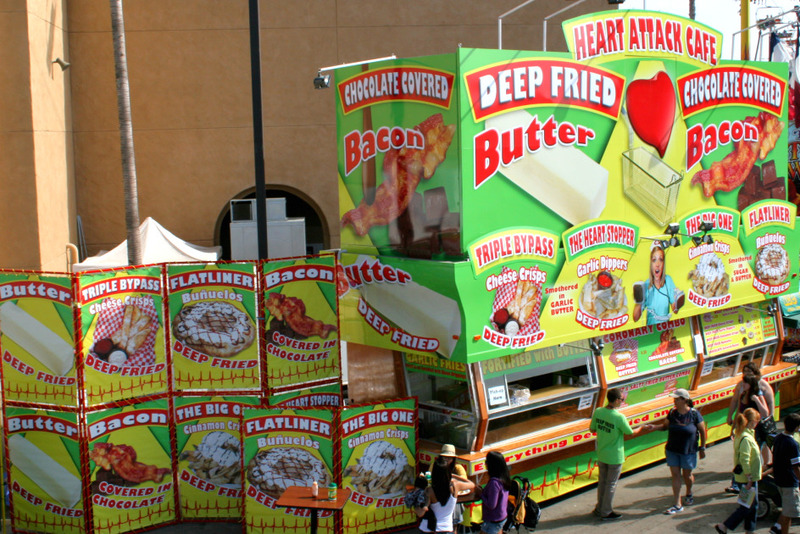 After all, it was the only place in the fairgrounds serving both deep fried butter and chocolate-covered bacon. The place sounded like a Neatorama post. This was one of the two booths I finally chose to eat from. I've been dying to try deep-fried avacados for years and they were the only place selling them. While I was there, I also took a chance on the deep-fried s'mores. I do not regret telling you that I declined to try the Krispy Kreme custard donut chicken sandwich, which seems beyond revolting to me, despite its journalistic appeal. Have any of you tried it? 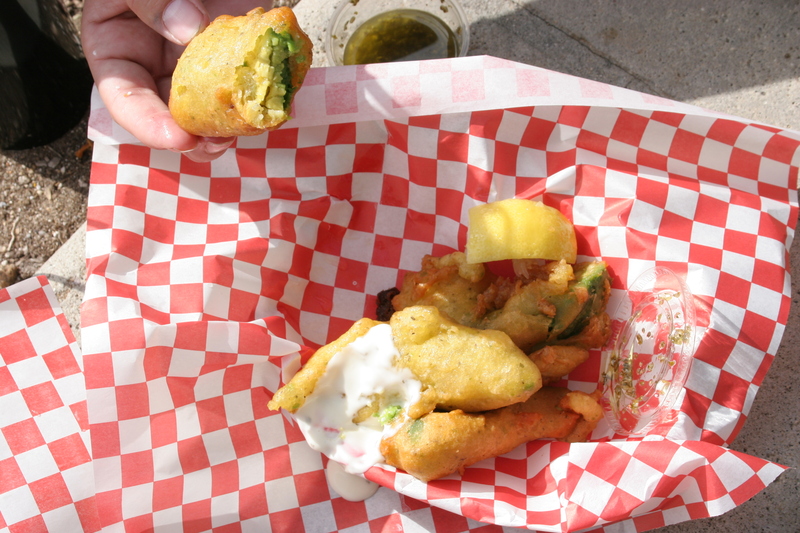 These are the fried avocados that were served with pesto sauce, lemon and ranch dressing. They were really good with lemon and pesto and the flavors melded together really well. The ranch was a little too creamy for the avocados, which are already so rich and creamy on their own. This was the fried s'more. The first bite or two was great, but it reminded me of the fried Snickers I tried once...a few bites in and you're pretty much over it. Of all the $2 "Taste of the Fair" treats, this was the only one that actually seemed worth it. 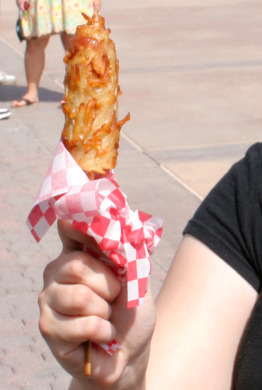 This is a hash dog, a hot dog surrounded by hash browns and then deep fried. The flavor was good, but it was just too greasy as you might imagine. Still, it was a good deal, it is normally $4 for this thing and at least it's remotely filling as oppa "taste" of fish. 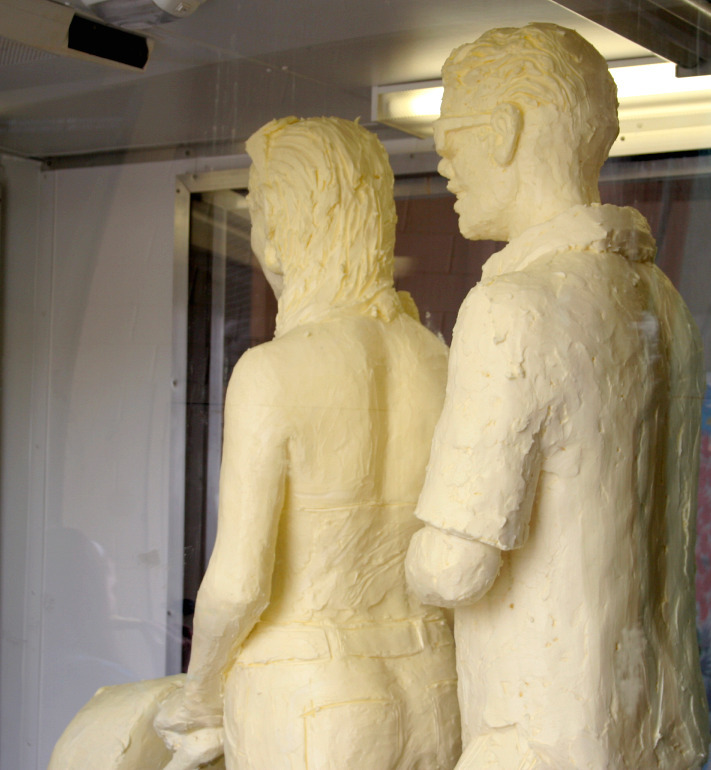 Moving on from food that you actually eat, there was an amazing sculpture of a couple with a stroller made completely from butter inside the main livestock area. Because it's always incredibly hot here, the sculpture had to be contained in an air conditioned chamber. There were two people inside working on it while we were there and I have to say, they were amazing. They worked in tons of details into the sculptures. The guy's shirt even had palm trees carved into it. One of my favorite parts of the fair are the livestock barns, but I have to say, this year was actually a bit disappointing. They had one huge mud area with a few cows, some pigs and some goats, but you couldn't even get close to them. In the other livestock areas, they had most of the cows roped off. My favorite animals are the goats, and the only way you could get to them was to go through the madness that is the petting corral. They didn't even have any goats entered into livestock competitions this year. Actually, there was one species of goats in the livestock corrals. These are angora goats. Unfortunately, they just aren't as friendly as regular or pygmy goats. On the other hand, there were plenty of sheep, about three barns full. And as a result, there was tons of shearing as well. A lot of the sheep wear these robes, but I have no idea what the point is, do any of you readers know what they are for? 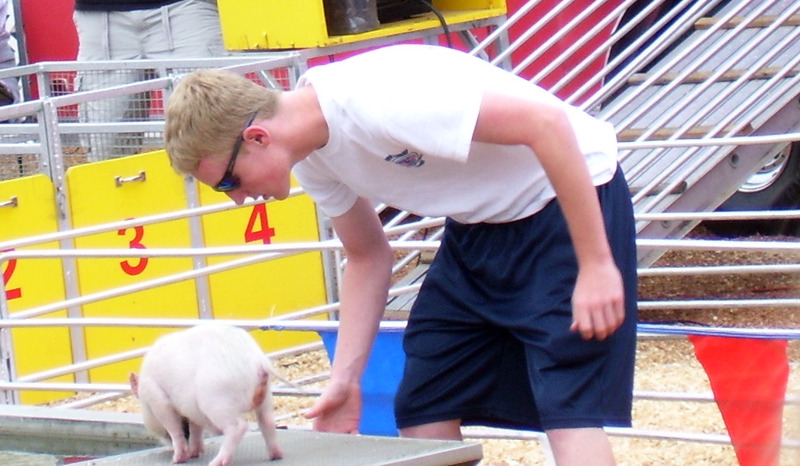 Not all of the fair animals are livestock though. 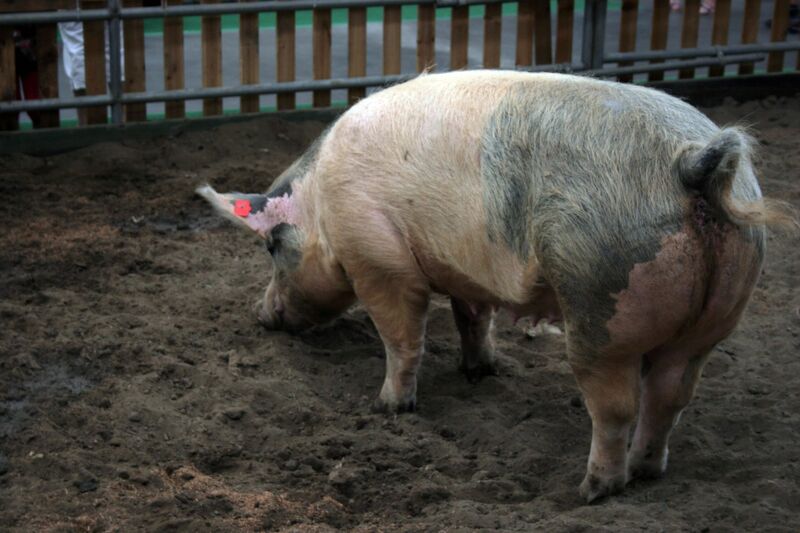 This little piggy is the star swimmer of the Swifty Swine Racing Pigs show. She loves jumping in couldn't wait for the guy to do his build up, so she just went for it. 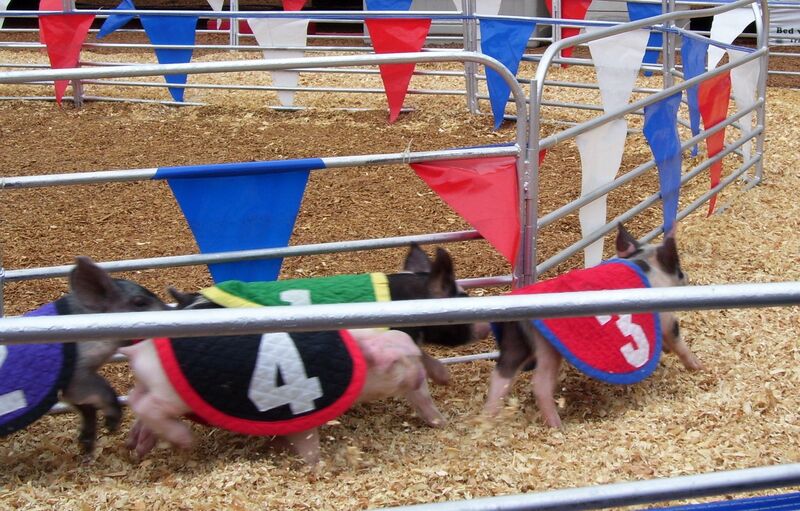 These are the racing pigs from the show and they have become quite a crowd favorite. In fact, their hourly shows seem to always have full seats. There's also an adorable Doggies of The Wild West Show. 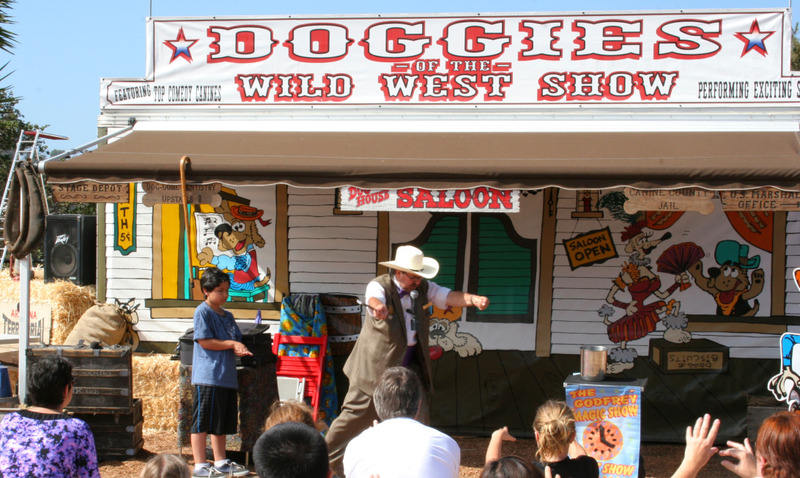 While we missed it this year, we did catch a magician doing tricks in front of the cutest stage around. 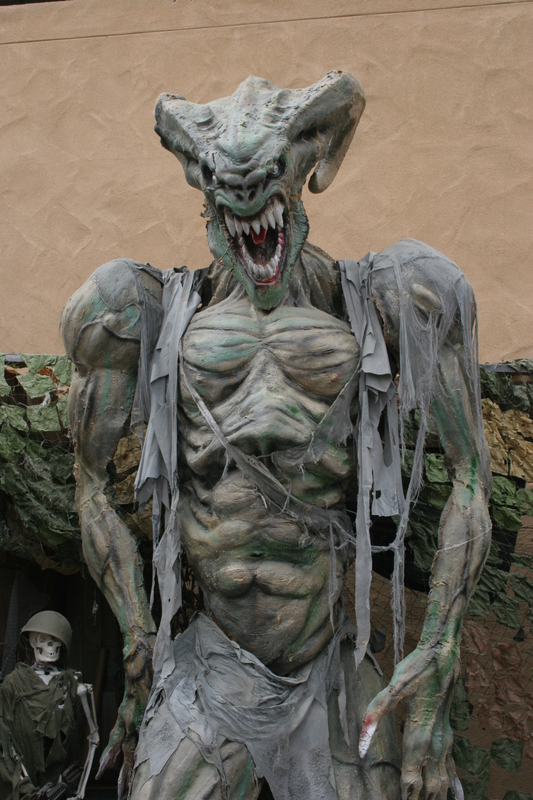 The fairgrounds are also home to one of San Diego's biggest haunted houses in October. This was their promotion to remind people to come back later in the year. 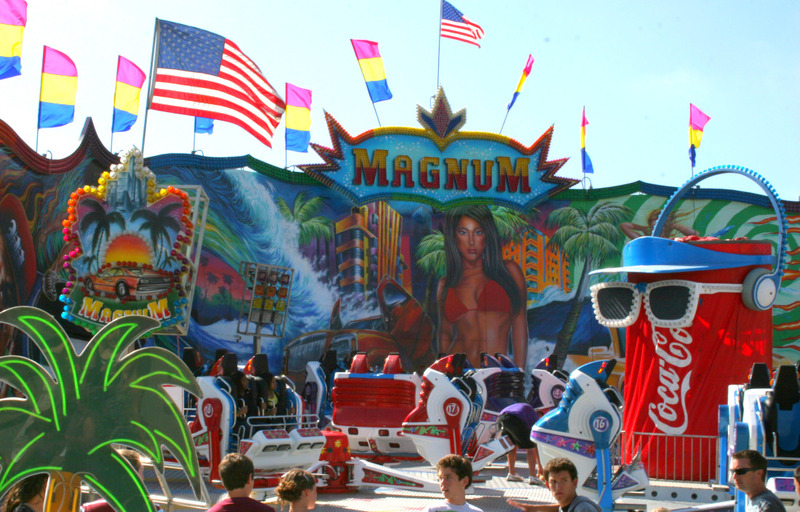 While the booth looked pretty cool, it seemed very out of place amongst the rest of the happy fair attractions. 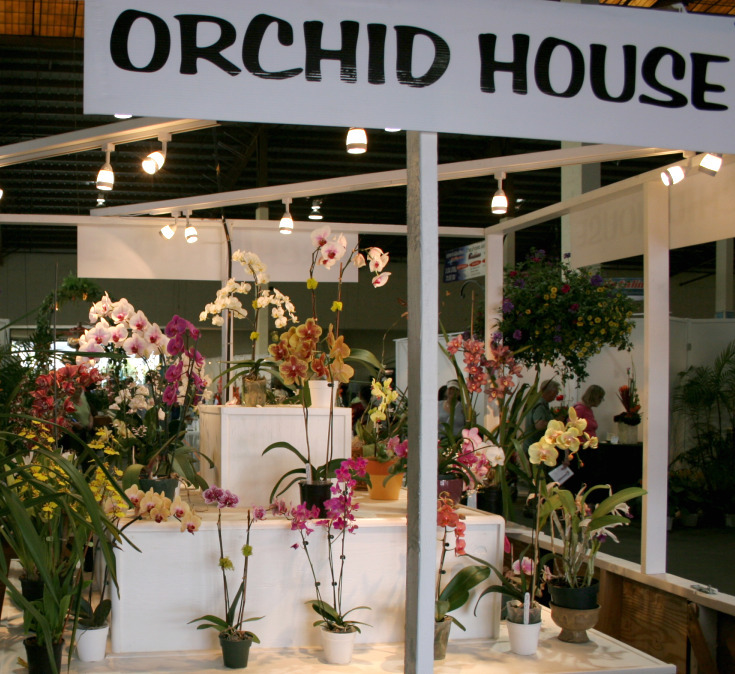 The plant and garden area is another big attraction of the fair. Clipped flowers sit inside while whole gardens wait outdoors. This guy seemed to be the mascot for the garden section, which had a fruit and veggie theme to go along with the fair's overall "Taste the Fun" theme. 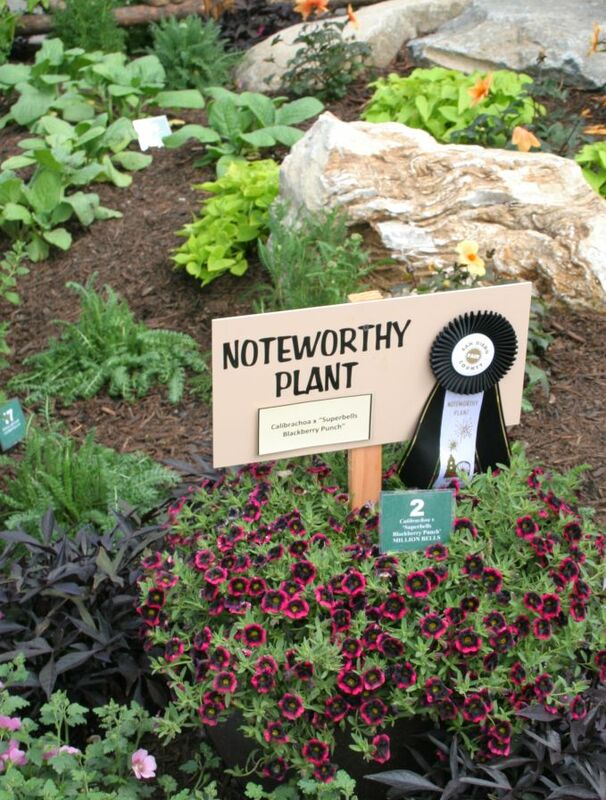 While there were plenty of veggies and fruits planted in the gardens, I noticed not too many of them won these "noteworthy plant" awards. I guess zucchini, beans and tomatoes just aren't that impressive. 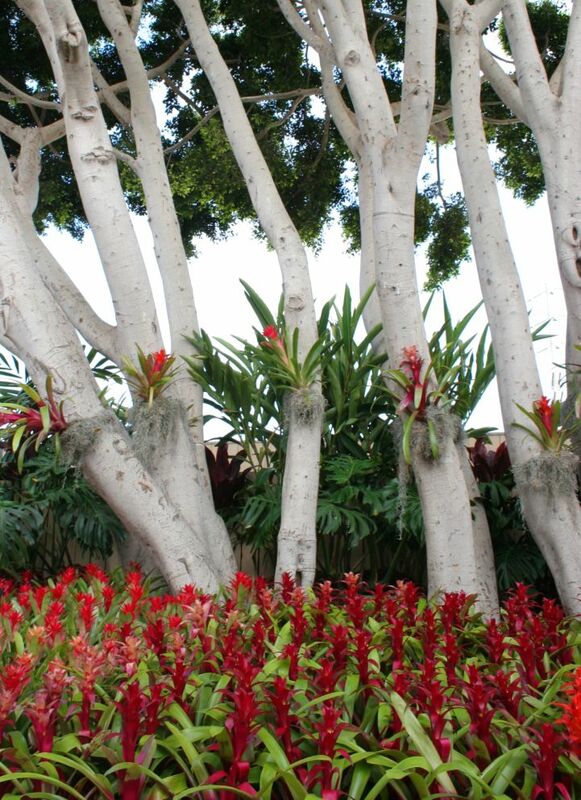 Bromeliads sure are impressive though and they were scattered about the gardens. Another cool attraction at the fair are all the handmade items. 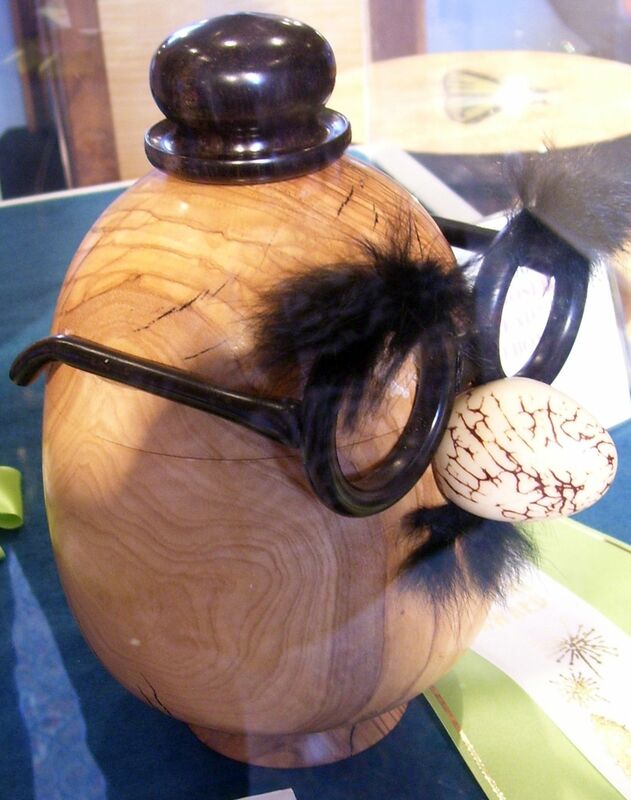 We had a friend who entered something in the woodworking show and we went to have a look. 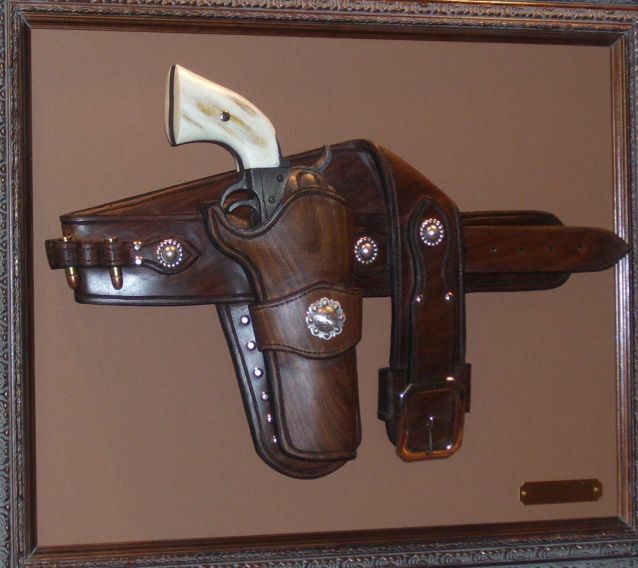 Along the way we found some really cool things like this gun and holster made from just wood and metal. And this incredible lion that was almost life-size. This is the piece our friend entered. 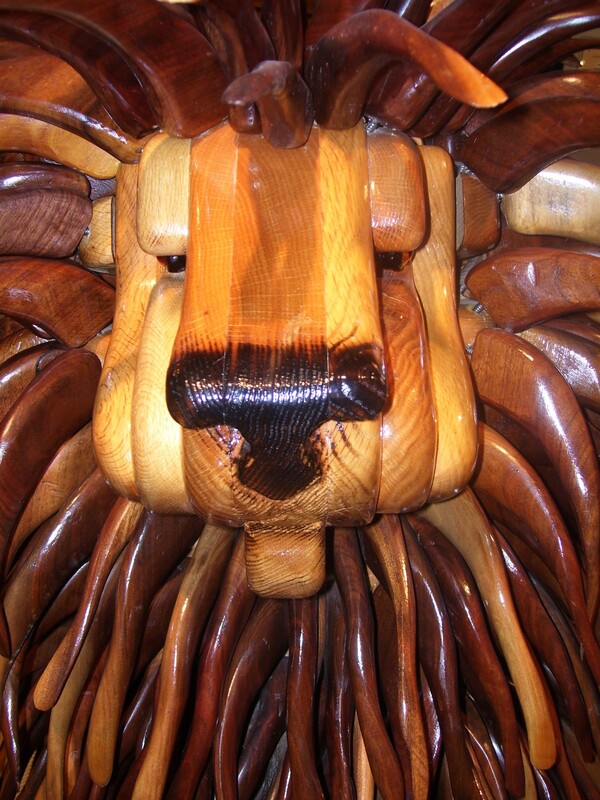 It's not as artistic as a fully wooden lion, but it's certainly more functional. 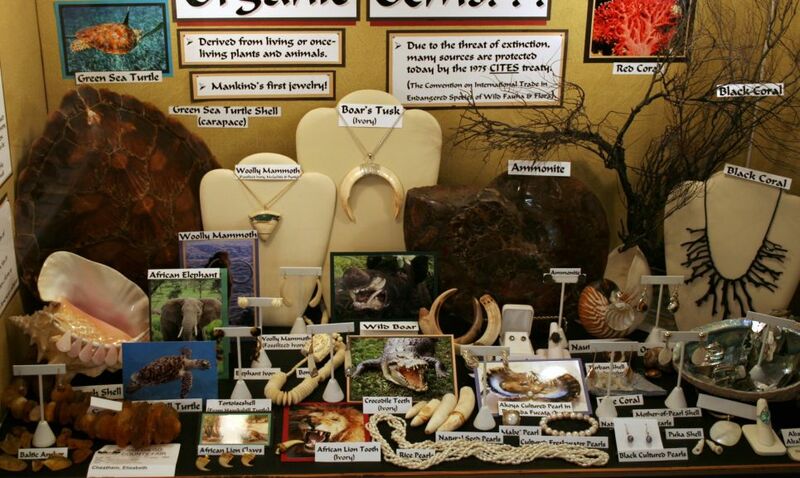 This was in the next door gem show. I had no idea tortoise shells and shark's teeth counted as jewels, but they sure make nice jewelery. 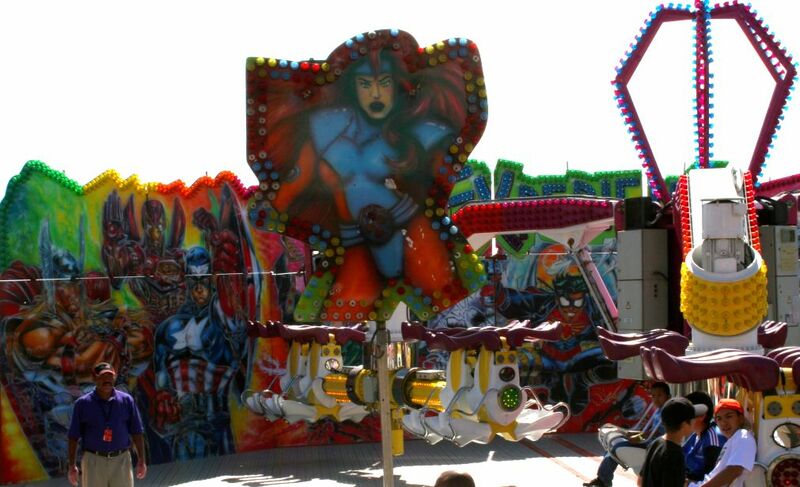 Then of course, there are the rides. This was probably the most popular ride this year and the line was out of control. The farris wheel was massively large. Too bad it costs something like $5 for one ride. 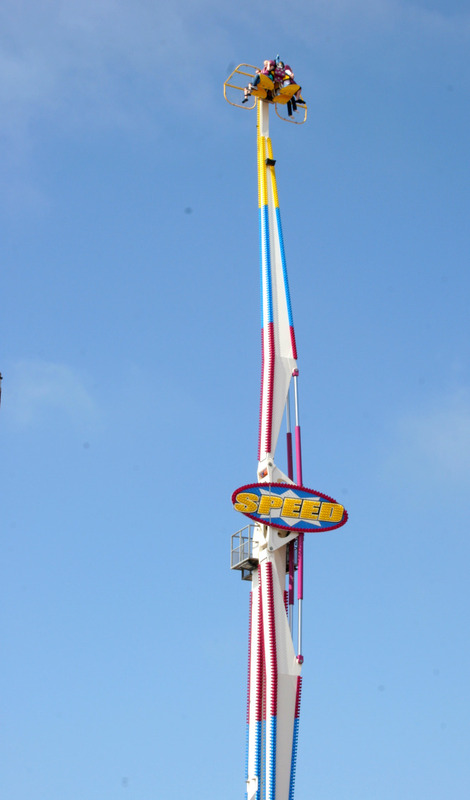 I avoided the rides this year, but I did ride on this one once and if you see it somewhere and are tempted to try it, don't. They hold you at the top of the loop upside down and then hold you there so all the blood rushes to your head...that's why they call it Evolution. Instead of fun dizziness upon exiting you instead get a terrible headache as the blood returns to the rest of your body. It's been forever since I saw a place that offered elephant rides, but these guys are great because they operate an elephant breeding program to help endangered Asian elephants. 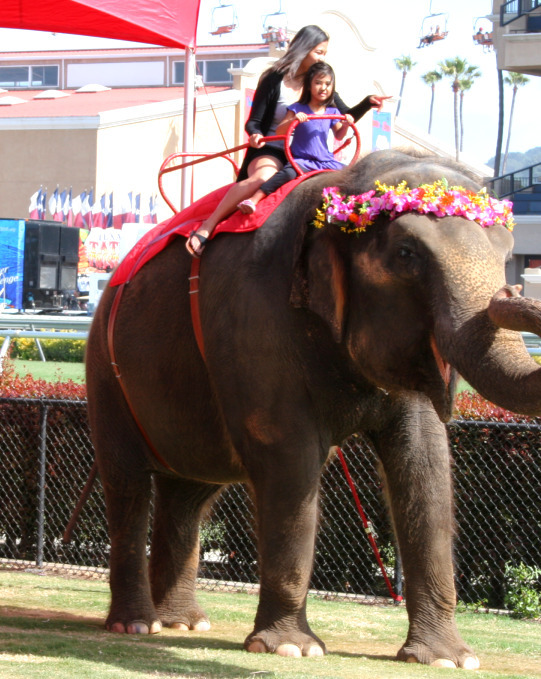 The animals all looked really happy, and you could look for areas around their necks to see they weren't abused like many trained elephants. 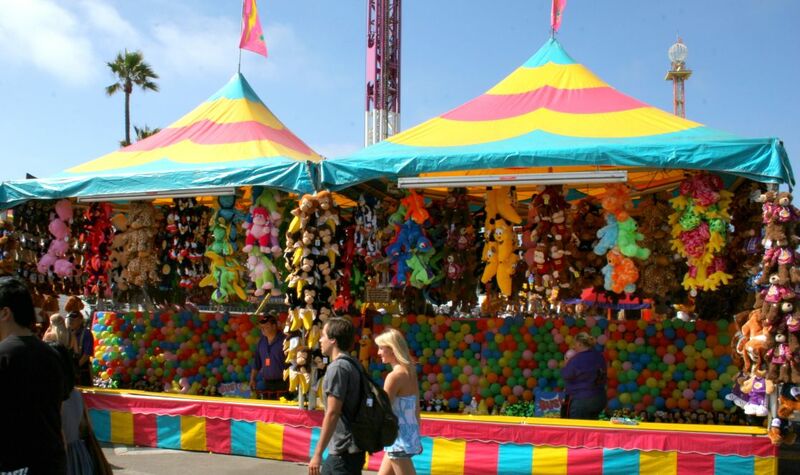 Then of course they had all the carnival games filled with hucksters calling you to try your luck to win lovely knock-off toys. For some reason bananas seemed to be a popular stuffed animal this year. If you're wondering why a person who doesn't go on the rides still bothers to walk through the ride section, this is why. I love the artwork on these rides. Even the not-so-good, copyright-infringing artwork is fun to look at. I was a little sad to see that they finally painted over the totally dated pictures of Tom Selleck on the Magnum ride. I guess they felt like they needed to modernize it...of course, no one felt like they should modernize the dancing Coke can. 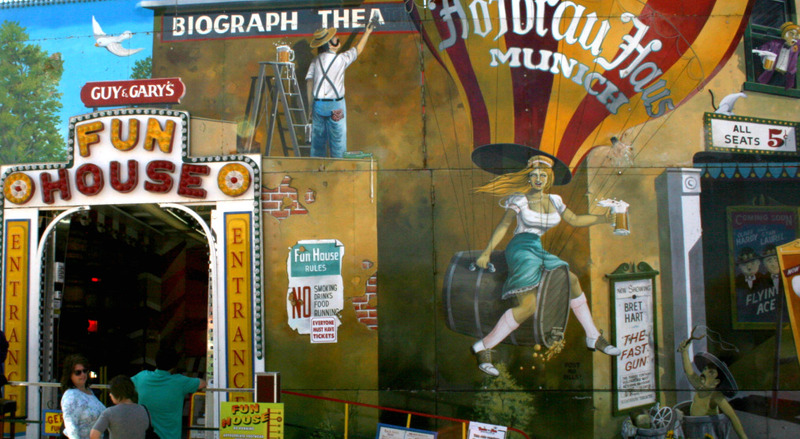 For some reason, the fun houses always have the coolest artwork. The kid's area rides also have really detailed paintings on them. And there is nothing quite like having a smiling spider wave you goodbye as you head out of the park grounds. Here's your turn Neatonauts, do you have a local fair? Is it any good? Is it too commercial? What are your favorite attractions? This isn't just to stimulate conversation, it's also to help us find a better fair that's more classic and way less expensive, so let's hear it. 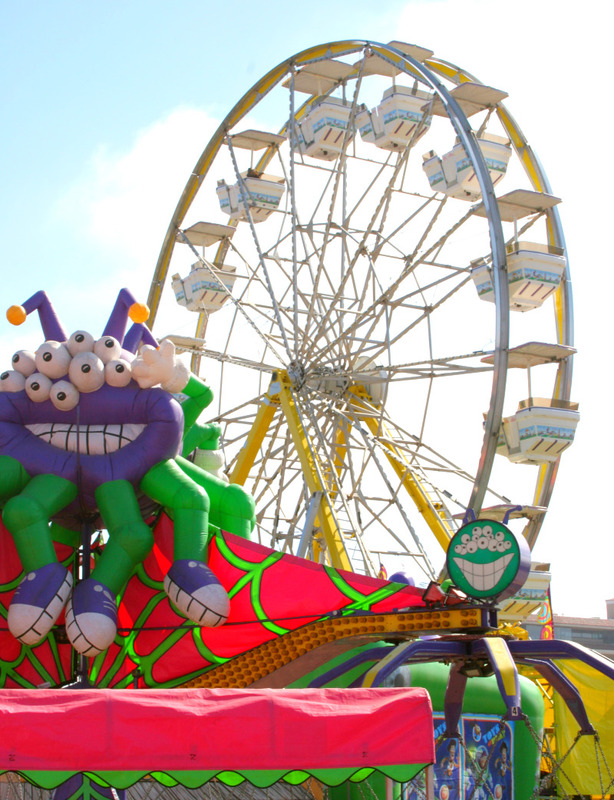 As a native San Diegan, the San Diego County Fair has been a must do part of my summer for years! 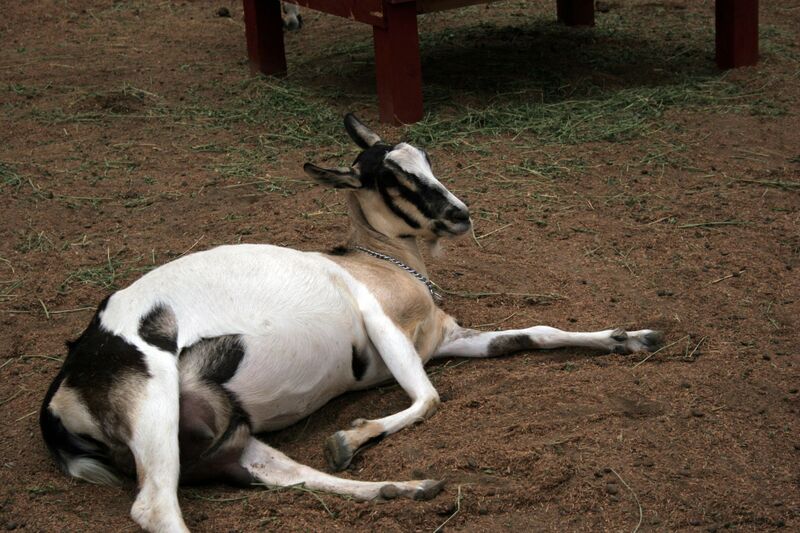 The livestock at the fair gets rotated, so you might have been there on a day when they were rotating them out. I know the week I went there were chickens and goats and cows in prominence. My friend went the next week and saw rabbits, guniea pigs, and pidgeons so the livestock they have depends on the week you go. Great post! I was thinking of taking my kids to the fair today, but you confirmed my memories of the fair. I think I'll skip it. 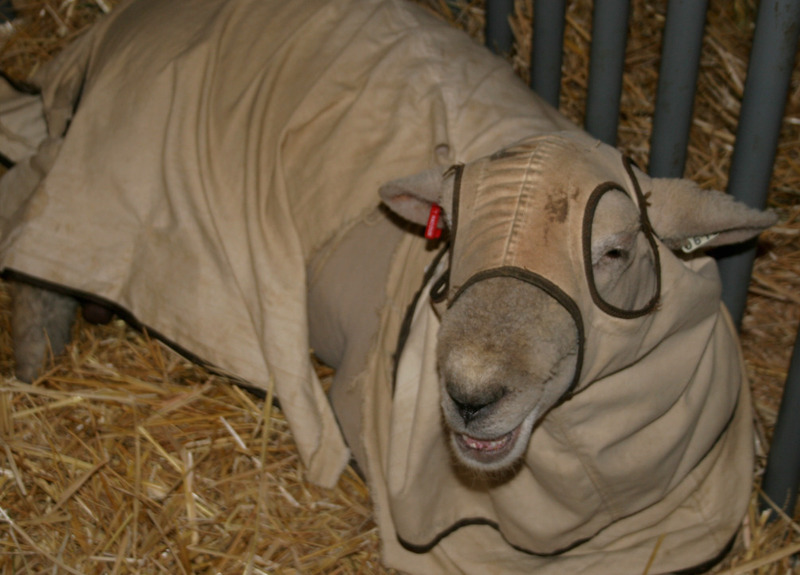 The robes on the sheep are called coats, and they are there to keep "vegetable matter" and dirt out of the fleece. 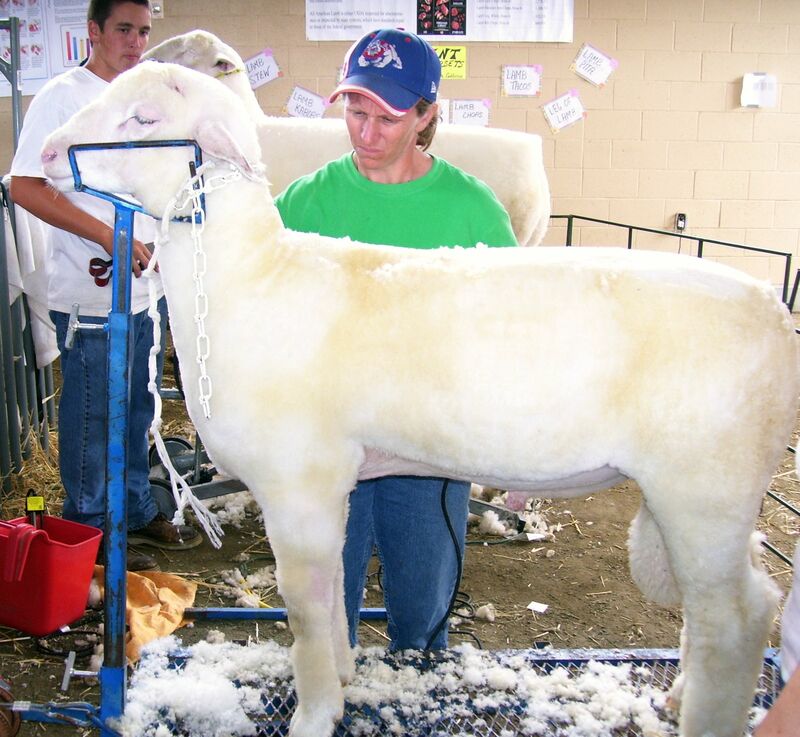 Clean fleeces are important to hand spinners and are in greater demand and more expensive. Thanks Jill for this comprehensive post. I don't like the rides either and now you've given me a good reason to avoid them. Thanks for the fried foods report too - you spared me some bellyaches. Aww, I loved Tom Selleck's handsome face on that ride! I always love to see the hypnotist show too. 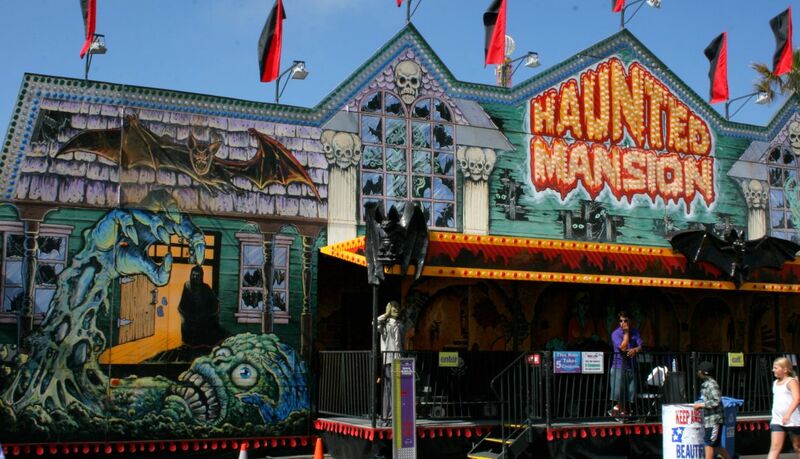 I'll be going to the Del Mar..er I mean San Diego Fair this Sunday. I'm entering a couple of my beers in the Home Brewing competition. I think I might try the Deep Fried Avocados. 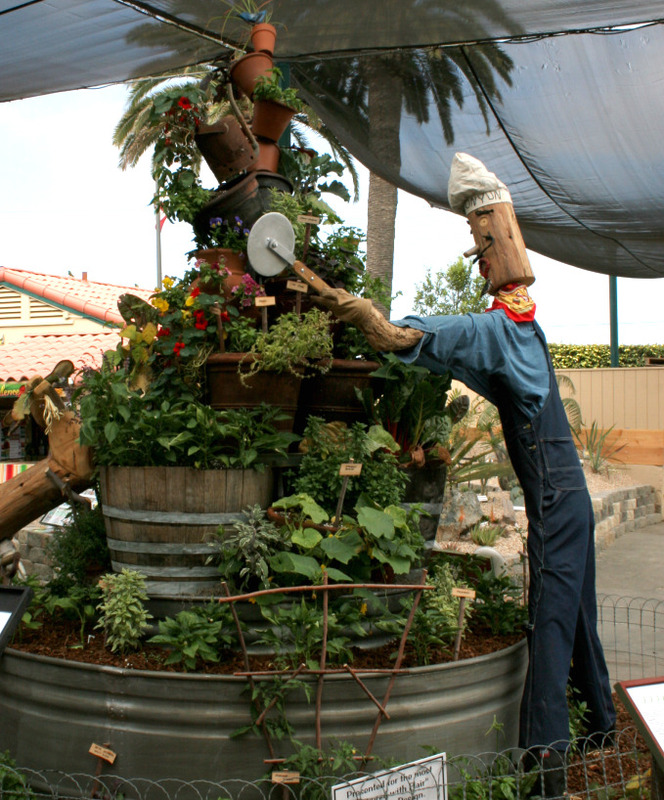 "A Day At The San Diego County Fair"